Here are a few fan campaigns for Matt Ashford, Patrick Muldoon, and Christie Clark who were fired from Days of our Lives this week. 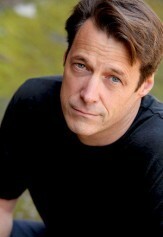 Online petition for Matt Ashford/Jack Deveraux here. Online petition for Christie Clark and Patrick Muldoon here. Also at 4:30 pm est, tweet #daysangryviewer. I am really unfamiliar with hash tags, how are tabulated or registered somehow? Can I @ to other people or topics and use the #SaveMattAshford and #daysangryviewer and it count? Yes it counts any time you use the hashtag in a tweet to anyone. We're trying to get it trending on twitter. Plus, I heard tptb at Days actually looks at what people are tweeting about Days by looking at the tweets that use #Days. If you go on twitter and do a search for #days, or now #daysangryviewer you will see tweets with them in it. please please bring back Matt Ashford as Jack .Jack and Jenn deserve a happy ending not this .this is an insult to all the days fans and to Matt Ashford .always he has come back for the fans !!!! he is a wonderfully talented actor who is the only jack .He worked so hard for so long on this character and more and more we fell in love with him and the love of jacks life Jenn .